Welcome to the website of the North York Moors Caving Club. 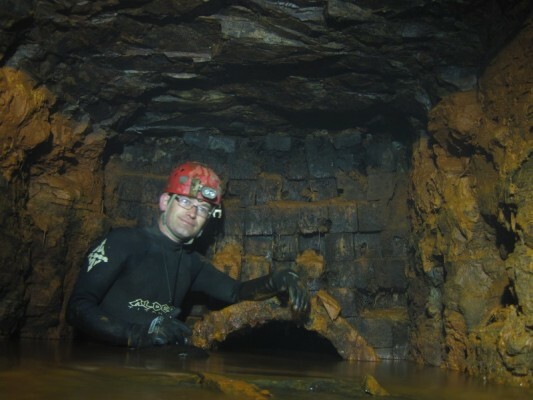 The club currently comprises a small group of cavers who are primarily focused on the exploration of new and existing caves, mines and other underground places in and around the North York Moors area. Until 2008 the club was known as the Scarborough Caving Club, but changed its name so that it more accurately represented the area which its members predominantly live and go caving. In its 20+ years of existence the club has had several generations of members, all of whom enjoyed caving throughout Britain and Europe. The club is responsible for a number of significant discoveries particularly in its home region which has always been a bit of a caving backwater. Whilst members believed that the change of name was the correct thing to do they also recognise the need to maintain their association with the many achievements that the club had under their former name. The club is very active and most members of the club meet for weekly digging trips where we are involved in a number of projects. The heading sums us up nicely. We explore caves and mines, all members are particularly susceptible to a variety of bowel related ailments and bad language is particularly contagious.